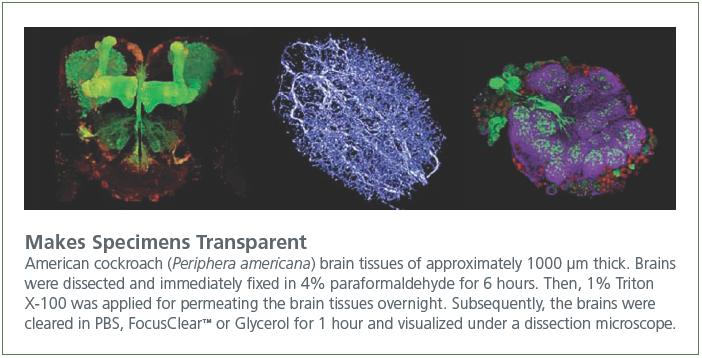 A water-soluble clearing agent that increases the transparency of biological tissues. 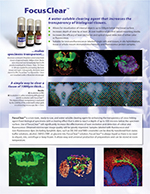 • Allows for visualization of internal objects up to 500 μm below the tissue surface. • Increases depth of view by at least 2X over traditional glycerol-based mounting media. • Increases the efficacy of laser excitation and optical signal detection of either color or fluorescence. • Suitable for immunofluorescent-labelled single cells and tissues, in situ hybridization, tissue or whole- mount immunohistochemistry and fluorescent protein samples. 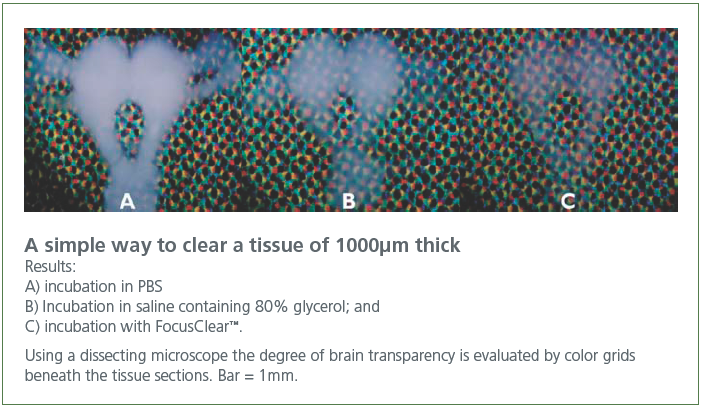 -FocusClear is a water-soluble clearing agent that increases the transparency of biological tissues. Includes 5ml each of MountClear (MC-301), Immersion Solution-M (IS-502), and FocusClear (FC-101).